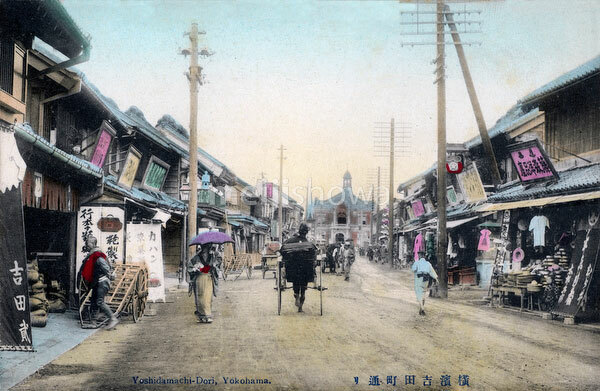 A rickshaw and a woman with umbrella pass by shops on Yoshidamachi-dori, Yokohama, Kanagawa Prefecture. The photographer looked from 2-chome towards 1-chome. The building in the back is the Isezaki Police Station (伊勢佐木警察署, Ikezaki Keisatsusho). Left in front of the station, Yoshidabashi Bridge was located.